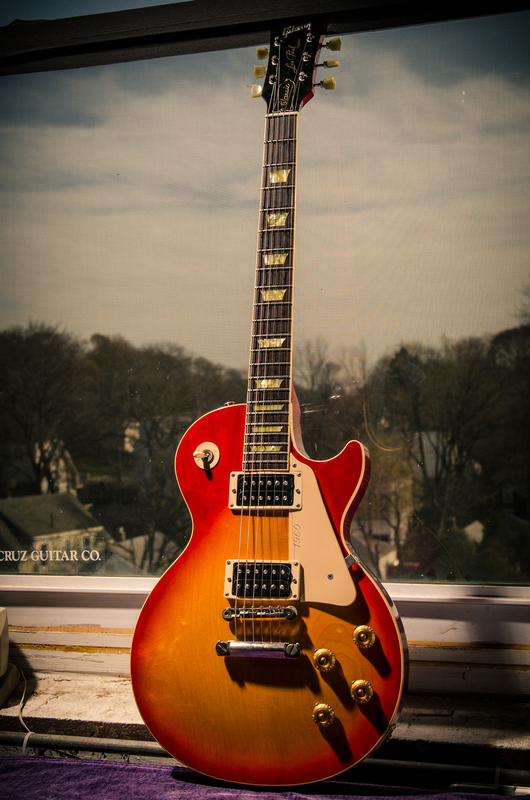 Broken tuner repair :: 2000 Gibson Les Paul Classic 1960 Reissue [9.1 lbs] — Chubbuck Guitars :: making & repairing Guitars in a old building just north of Boston, Mass. A pretty 1960 reissue Les Paul in for a setup and broken tuner knob. Gibson Deluxe tuners are a fairly delicate tuner when compared to others. A common issue is that the rear covers can become loose over time. These tuners were fairly tight but the D string tuning knob was failing from a previous repair. The knob was cracked and glued by the player, but the glue had begun to fail. In the video below from the vlog, I was able to open up the knob and work some super glue into the break before clamping it closed.